We take great pride in our quality of auto body work, where safety and aesthetics are paramount. 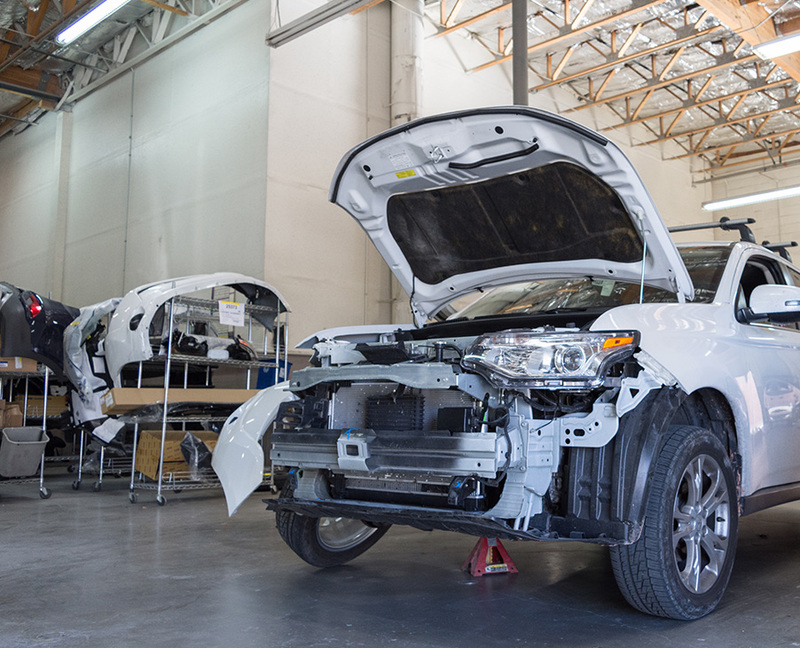 Although it is our ultimate goal to restore your vehicle’s safety to the day it left the factory, we also want it to look like it did before the accident happened. Our industry-leading GM certified technicians and on-site welders achieve this goal by restoring your vehicle back to original manufacturer’s specifications using only the highest quality materials available. We offer services such as auto paint repair and bodywork including side panel repair service. From the initial damage assessment through vehicle reassembly, we do it all. Whether your vehicle requires minor to moderate repair services, or you suffered more extensive damage, you can trust us to get the job done right. Tucker’s Collision Center has a team of GM certified technicians that are industry leaders in repairing any body damage from minor dents and dings to major body repairs. If you live in Las Vegas, Paradise, Whitney, or Sunrise Manor, there’s no better place than Tucker’s Collision Center for all of your collision repair needs. Rest assured that our GM certified collision center has the experts, equipment, and body repair protocols to provide you with the region’s best auto body repair services. At Tucker’s Collision Center in Las Vegas, our ultimate goal is to provide you with world-class auto collision repair service that is hassle-free and convenient. We meet our customer service expectations with a streamlined collision repair process that can bridge the gap between you and your insurance company. Our service manager has years of experience helping our customers work with all major insurance companies to get their vehicle repaired after a collision. Tucker’s Collision Center in Las Vegas is a GM Certified Collision Repair Center. That means we have the expertise and equipment needed to provide any GM make, model, or year with auto collision repair service. When you bring your vehicle to Tucker’s Collision Center in Las Vegas, we only use genuine GM parts, materials, and fluids when providing your collision repair. If you need any auto body repair service, call Tucker’s Collision to have one of our certified technicians restore your vehicle to its factory look.